UK-based My Silent Wake had an album called There Was Death through Minotauro Records in early 2018. 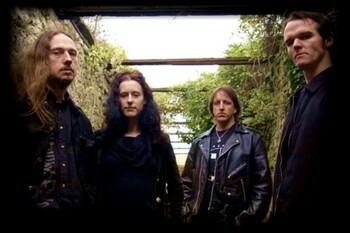 The band was formed in 2005 and immediately had a self-titled demo. Marc Ellison joined in 2012. A split with Pÿlon of Switzerland came in late 2013. The band had an independent work on Opa Loka in 2017 called Invitation To Imperfection. The group is a white metal one with doom and goth tendencies.